Fulfilling the Great Commission by the Great Commandment: Making Disciples by Loving God and Loving His People. We are about inspiring REDEMPTIVE relationships through intimacy with God, investing in others, and inviting the world to Christ. Christ came to seek and to save that which was lost; we are called to do the same. We are called to love unconditionally, and to extend the same love that Christ has bestowed upon us. We envision Redeemers House of Worship as a church passionately committed to the development and transformation of people who will impact the world both locally and globally. 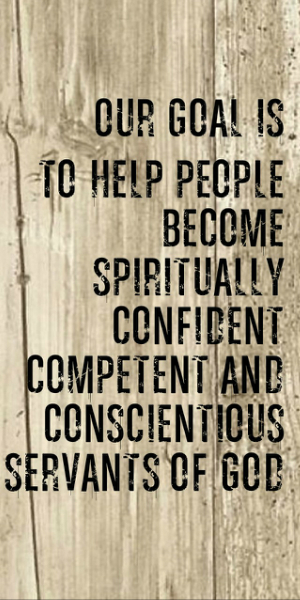 Our goal is to help people become spiritually confident, competent, and conscientious servants of God who will make an indelible contribution to the welfare of society through community and ministry-based initiatives that enhance the overall spiritual and moral condition of the world. As we teach the Word of God with simplicity and clarity, all will understand and know daily how to walk in the Redemption which is in Christ; thereby being transformed into The Redeemed of the Lord. We seek to provide life-changing experiences of worship, fellowship, discipleship and ministry that compel.